From the Hainanese curry rice at the corner of the coffeeshop to the Teochew rice kueh and many other delectable local hawker dishes in the neat and clean food centre, the food here evokes many nostalgic memories of our childhood favorites. Tiong Bahru is an amalgamation of the new and old. While its evolution has been enthralling and is now home to an exotic food scene, it retains a strong sense of our local heritage. 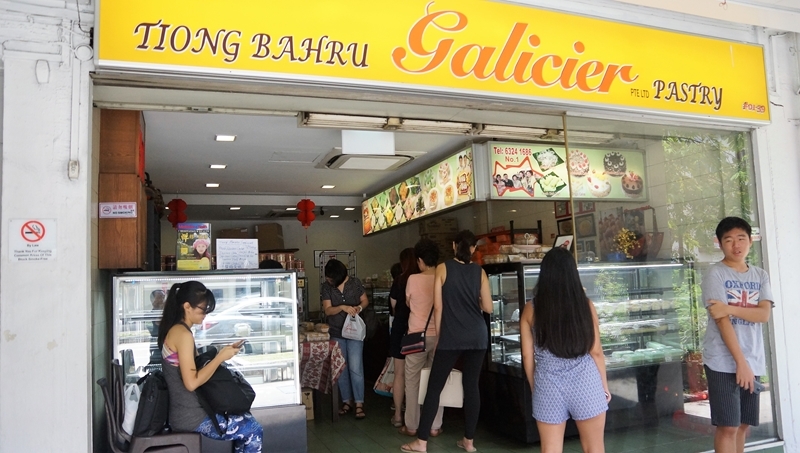 Tiong Bahru Galicier Pastry is a typical old shophouse presented in the most traditional manner and unpretentious way. It is not the environment and setting that attracts you but their old-school Nonya kueh or pastries that entices your tastebuds. 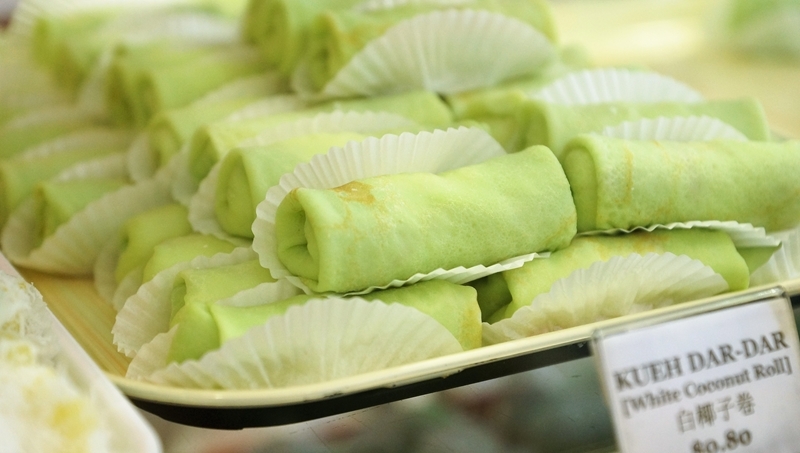 Tiong Bahru Galicier Pastry offers an assortment of Nonya kuehs, however, our objective of visiting the shop is clear: The shopping list cannot leave out the two most sought after items in the selection: kueh dar-dar and ondeh-ondeh. 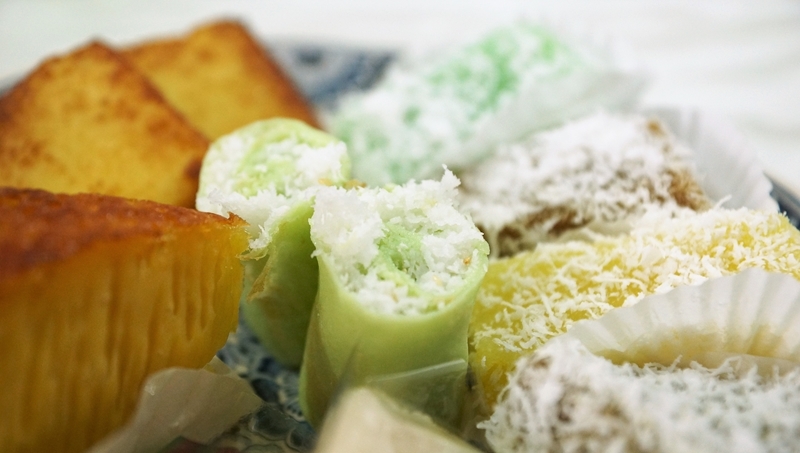 White grated coconut wrapped in a green-coloured pandan-flavoured thick rice roll. 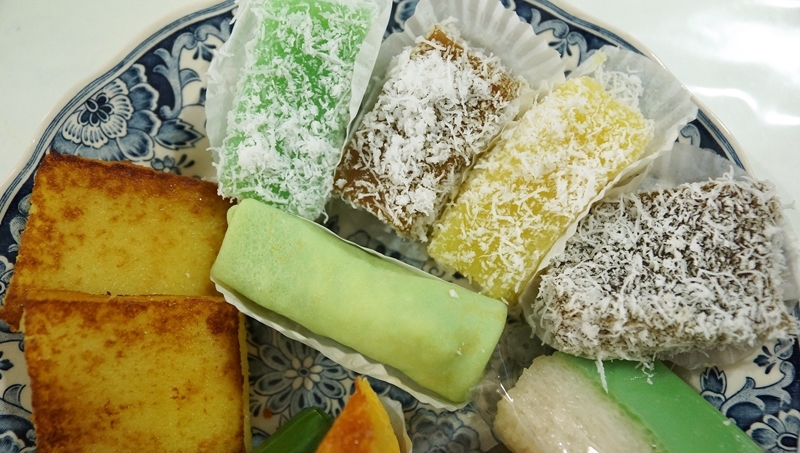 The kueh dar-dar here stands out among others with its unique filling. 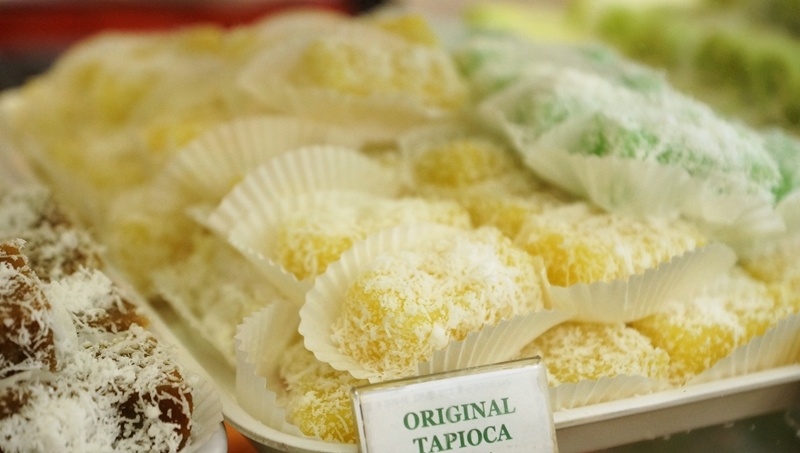 Tiong Bahru Galicier Pastry does not add palm sugar or gula melaka for extra sweetness. The snowy white grated coconut is fresh and fragrance, keeping the most original coconut flavour in its form with its mildly sweet taste. A cross-section of the kueh dar-dar. Look at that snowy, unadulterated white coconut filling! One of the best kueh dar-dar in Singapore? We can concur and endorse the claim. 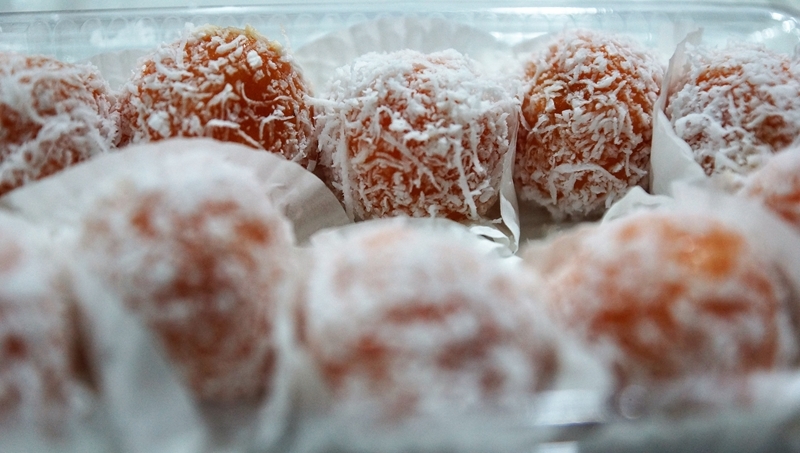 The round rice balls are filled with melted gula melaka and dusted with coconut shavings. If you don’t want to stain your clothes or face and hands with an explosion of filling, never bite into the ondeh-ondeh! Just pop the whole ball in one mouthful and let the gula melaka to burst in the mouth, you will be able to enjoy the essence of the gula melaka and the softness of the dough. Every ball is just salivating. The other kueh are reasonably good but the must-tries here are the kueh dar-dar and ondeh-ondeh. 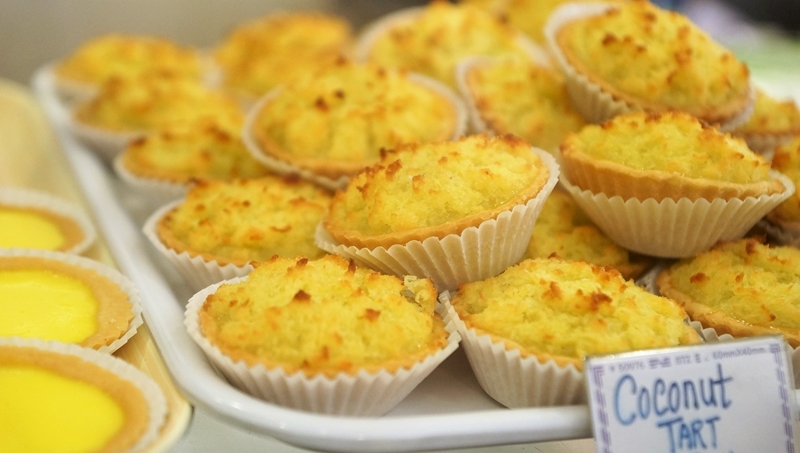 We enjoyed the kueh dar-dar and ondeh-ondeh at Tiong Bahru Galicier Pastry. Other kuehs are reasonably good as well. If you have limited capacity, go try at least the two kueh mentioned, you won’t regret it.